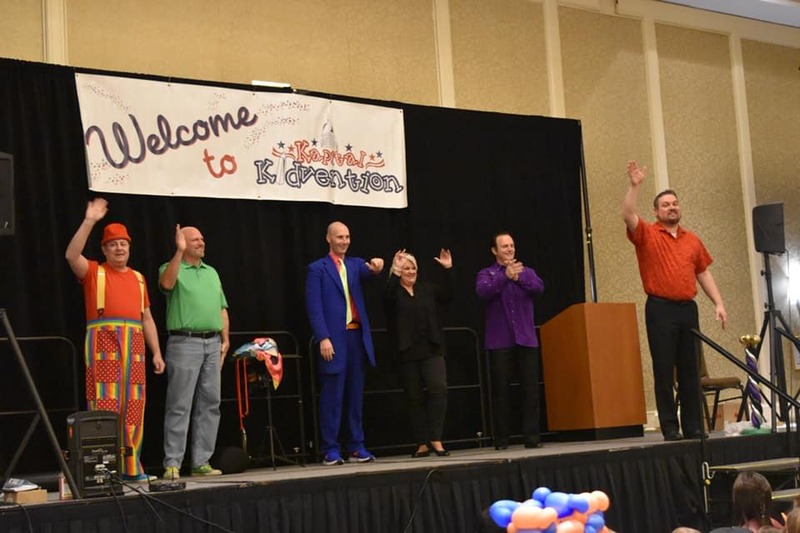 This past weekend I was invited to lecture on two different topics at an international convention of children's entertainers. The event is called Kapital Kidvention and it brought in almost 400 face painters, body painters, magicians, clowns, balloon artists, jugglers, and puppeteers from all over the United States, Canada, Europe, and even Iceland! It's a particularly interesting convention for me because I was also invited to lecture at this event a decade ago the very first time the convention opened. Even though I don't speak publicly for entertainers any more, I felt a nostalgic sense of obligation to go back and see what it had become. My head is still swimming with ideas I picked up. Whenever I wasn't speaking, I was sitting near the front row taking notes from the other speakers. It was an amazing collection of talent and I was both honored and humbled to get to be a part of the evening gala show with such world-famous performers as Silly Billy from New York City, Christopher T. Magician from greater Los Angeles area, and Duane Laflin and his wife Mary who have been headlining theater shows in Branson, Missouri for almost twenty years. They were all amazing performances...but I was the only one with a puppet who can do magic tricks.